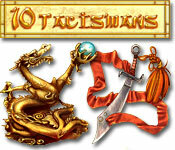 10 Talismans is rated 4.4 out of 5 by 16. Rated 5 out of 5 by BayouWoman from Beautiful, peaceful images. What a nice relaxing match three game. The Imagery is beautiful, peaceful, relaxing. There is a timed and a relaxed mode. It is a great match 3! Rated 5 out of 5 by afarrell from top match 3 game This is one of my first games I bought when I first discovered the Big Fish Game Site. That was some time ago. I played it today and found it was just as much fun today as it was when I first bought it. The negative side of the game is that there isn't much of a storyline, the positive side is the game is quite long, there are 2 choices of role play one is a timer and the other is no timer. This is the perfect game to play on a rainy day. For those that like match 3 games I suggest you try it and buy it you wont be disappointed. Rated 5 out of 5 by Nesedangelo from Fun Game I very much enjoy playing this game. Rated 5 out of 5 by jupiter51 from Loved it enough to buy it 3 times over the years I first bought this game off another site that has since changed names - Really! When my hard drive crashed I missed it so I went back and bought it again. (No unlimited downloads with them). A year ago it suddenly quit working and I had to get rid of it. But I missed it. So..... a week ago I purchased it from Big Fish and have been playing it a lot ever since. What a lovely game! Peaceful, relaxing and yet challenging enough on the upper levels. I highly recommend this game. You will love the music and the backgrounds. 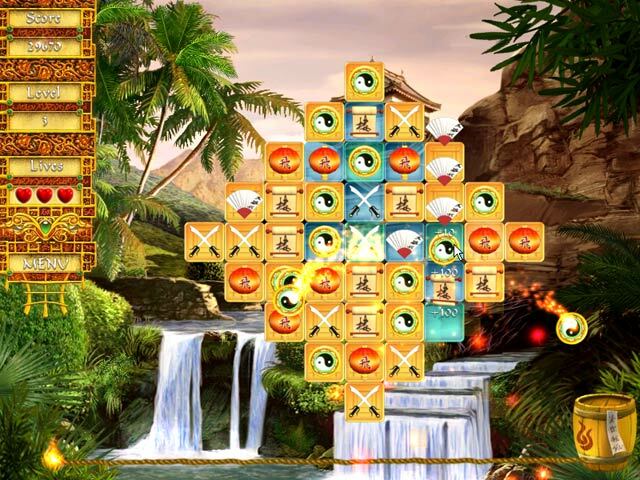 Rated 5 out of 5 by dontwannaknow from Cool game - 10 Talismans Granted, it's a match game but it has enough levels of difficulty to keep it interesting. On timed play, it's a challenge to beat the clock without using the hammer or extra time sand clock. For such a small game (easy to download) it has great graphics, nice sound and it's interesting to play. Would recommend to anyone. :) The little zen philosophies are cool too. Rated 5 out of 5 by pegasuspam from Long Time Waiting I love match 3 games, but a lot of them are so alike which makes them boring. Not this game. I downloaded the trial version, played for 15 minutes then I went ahead and bought it. The backgrounds are beautiful, the music not annoying and talk about a relaxing game. I've never taken to a match 3 game this fast. Thank you Big Fish games! Rated 5 out of 5 by VCUmom from Fun Match 3 game Relaxing game in untimed mode. Rated 5 out of 5 by justannie from JUST A GREAT GAME this game has a timed mode and untimed..the untimed mode is playable...yet fun...the music fits the game and the grafics are clean..I love playing it..and worth a download.. Rated 5 out of 5 by Scobeaux from For a game with such excellent explosions . . . . . . it is very relaxing. It is perfect to play late at night. I have a lot of M3 games and this is the one I always come back to. The music is so catchy I find myself humming it throughout the day, and the graphics are beautiful and fit the theme perfectly. There is not a lot to it other than the M3 - no world building, no "plot," no mini-games - not even any real power-ups other than a little extra time and a hammer for a tile or two, but that's what I like about it. 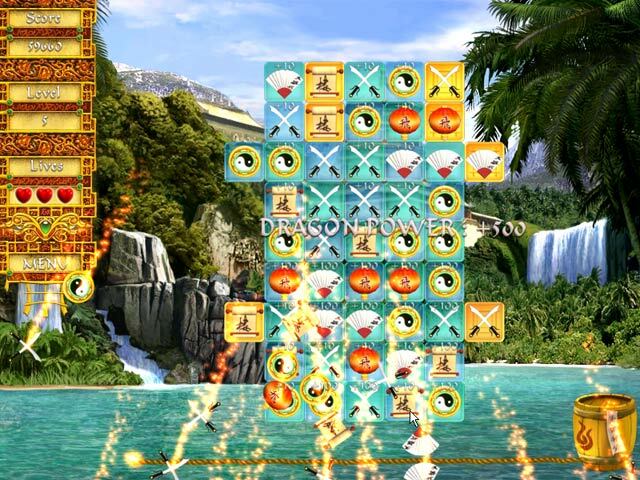 There is an excellent explosion you can create by matching tiles a certain way which is very amusing, however. Beating the game itself is not very hard but the challenge lies in bettering your previous scores - which the game keeps track of for each level. Rated 5 out of 5 by pses from Great Match 3 Game! I normally steer clear of the Match 3 games because I thought they're all the same. This one is terrific! 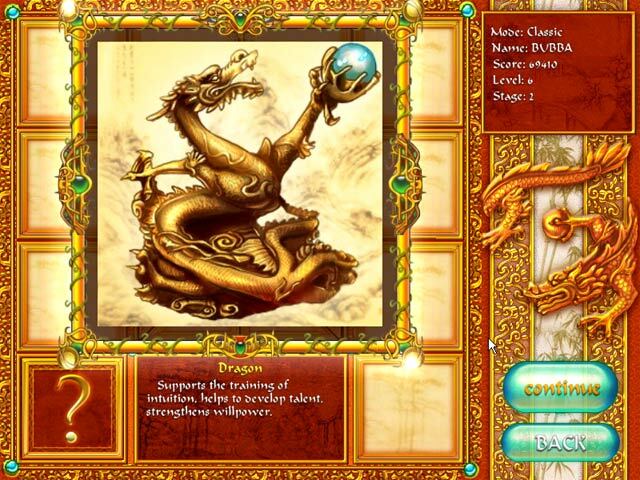 The graphics are excellent, backgrounds are beautiful, sounds are pleasing, and interesting bonus talismans to help with particularly challenging rounds. And yes, it is challenging. If you like match 3 games, you'll love this, and if you haven't tried this genre of game before, try this one; you'll be in for a pleasant surprise!